Google announced new Material Design guidelines at Google I/O 2018 earlier this year and has steadily been refreshing its platforms with the new theme. 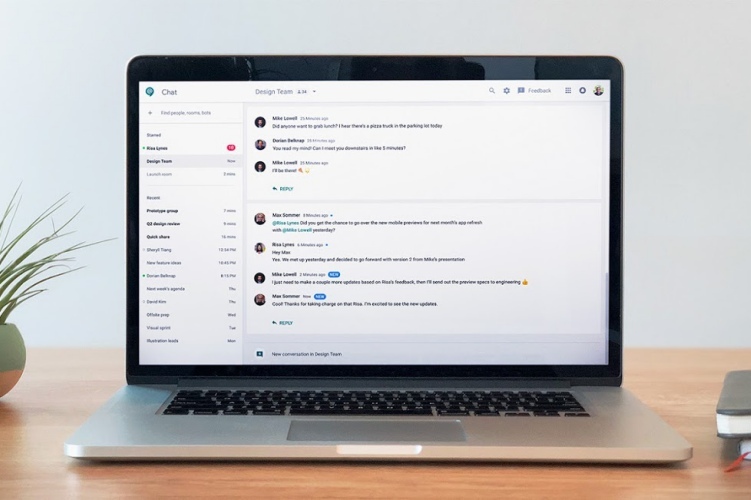 It has already refreshed the visual elements of several of its entities, such as Gmail, Google Drive, and Chrome, but it’s now revamped the desktop UI for Hangouts Chat. 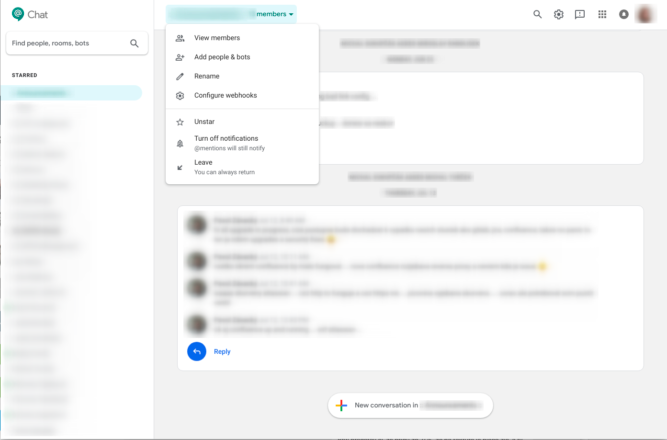 The Material Theme redesign of the Hangouts Chat website isn’t too expansive and only tweaks the elements necessary to highlight the new design guidelines. The search box in the sidebar on the right, as you can see below, now has a “rectangular” outline and shadow as compared to the previous flat aesthetic. It now also has the ‘Find people, rooms, bots’ label within the search box to give you a better idea of what all you can rummage around for. At the top left, Google has made the settings icon more prominent. The previous ‘three-dots’ overlay menu has now been replaced with an outlined cog, along with a new help button next to it. All other icons in the drop-down menu have also been hollowed out to make it similar to the new guidelines. This design is in line with the new material theme guideline that we’ve seen roll out in Android P beta 3 a couple week ago. You may have also noticed the new, more prominently place ‘New conversation’ button at the bottom of the interface. It has the same multicolored ‘plus’ icon that we have seen in Gmail, which will make it simpler for you to start a chat with your teammates. If you’re a regular user of Hangouts Chat, you would’ve also noticed that the cards on the homepage are smaller and spaced out in comparison to the previous design. This makes the whole interface look a lot cleaner, which seems to be the common theme in the new design. We can expect to see similar changes being rolled out to most Google products over the coming weeks.